KEO - Fascia/Soffits/Guttering, Windows/Doors/Conservatories based in Christchurch, Dorset. 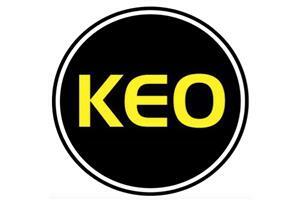 KEO are a family run company based in Christchurch, Dorset. We have over twenty-five years of experience in the home improvements industry, covering all aspects of repairs and installations. KEO will give you a free, no obligation, quotation that is valid for 12 months - with results that won't disappoint. We pride ourselves on our unbeatable workmanship and customer service. All of our new installations come with a ten-year guarantee, so you can have total peace of mind that we will be just a phone call email away should any issues arise. As a FENSA registered company you can be assured that your installation will be fully compliant with the Building Regulations without the added cost and time of arranging assessment by Building Control yourself. As approved YALE installers all of our window locks come with a YALE Security Guarantee. Our composite doors are amongst the best available, we don't agree with cutting corners with your home security. So confident are the manufacturers of the security of their composite doors, that they offer a 10 year security guarantee direct to the homeowner. At KEO we promise you a top quality installation by one of the area's leading installers, using top quality products, all at a very competitive price.